Italian ryegrass is a really tough weed and the application timing is extremely important. Osprey, Simplicity and Axial are usually effective. However, all these herbicides will not work if applied when the ryegrass population in your field has more than two tillers. Thus, it is extremely important to have an adequate weed monitoring program, especially when the growing conditions are optimal for ryegrass establishment and growth. 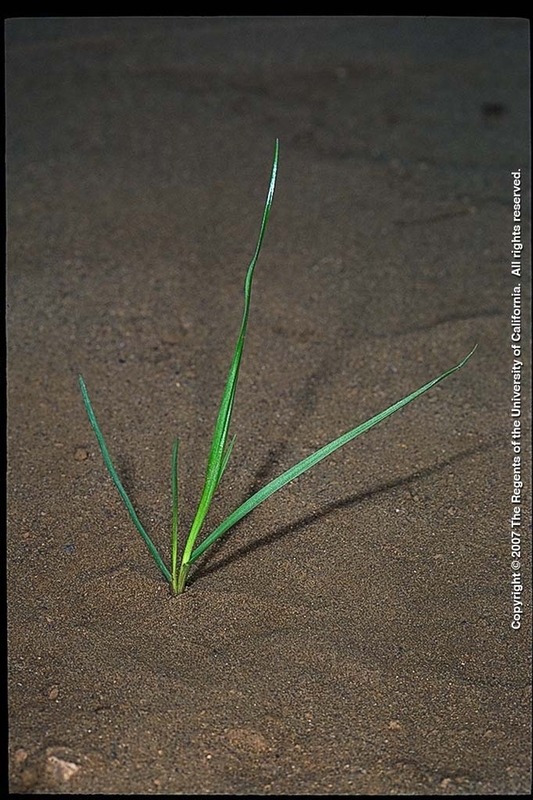 Unfortunately, ryegrass has also proven to be quick to develop resistance to multiple herbicide modes of action (MoA) and cases of resistance have been reported throughout California and the US. In February, a PCA in Glenn County called me because he was unable to control a ryegrass population with almost any herbicide he could think of. Testing few herbicides along one edge of the field, I found that osprey, axial and simplicity were not working. The only herbicides that controlled the ryegrass population were Rely and Gramoxone… not a great news for wheat growers, as these two herbicides will be equally effective in killing wheat! Talking with Mark Lundy, UC Small Grains Extension Specialist, and Konrad Mathesius, a UCCE Agronomy Advisor, we realized that many cereal growers around California have been complaining about herbicide resistant Italian ryegrass and that the problem is quickly spreading. Integrating alternative methods of control, such as mechanical cultivation and rotating herbicide MoA can help control ryegrass and delay the development of resistant populations.